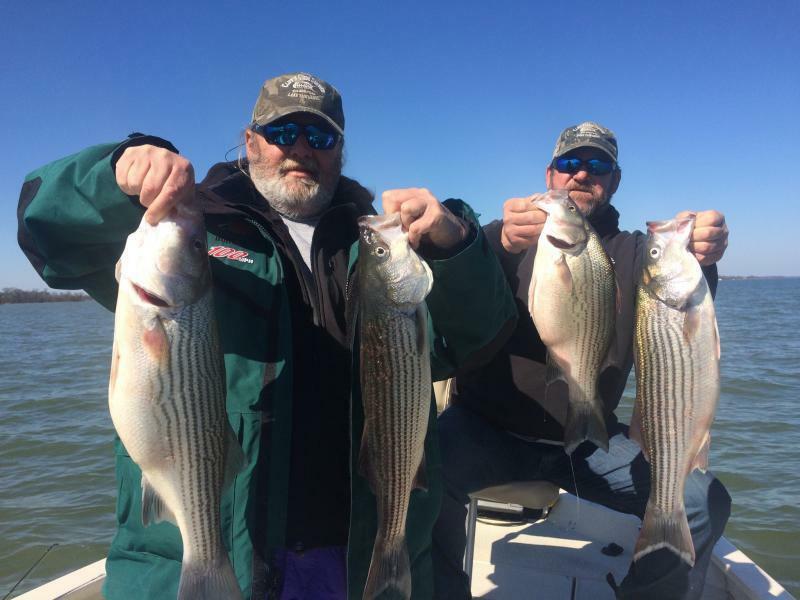 Register Log In Texas Fishing Forum Forums Whites - Hybrids - Striper Lake Tawakoni Fishing Report-PreRain??? Never posted on TFF, but it seems there are not any Lake Tawakoni Fishing Guides posting, so here goes nothing! Current conditions on Tawakoni are very muddy and lots of water! Hope to be back out on the Lake next week! Before the foods, fishing was Very Good throwing swimbaits in shallow water wind blown points in the AM! 1/4oz and 1/2oz jig heads with a 4" Paddletail swimbait! White Ice and Chartreuse! White Bass Fishing is great with 1oz Slab Spoons at the usual spots, Cloud Point, Wolf, Sun Point, and Finger Point. These spots are not secrets and very easy to find with a topo map. We will check back in on TFF when the water goes down a bit! It's a muddy mess so please be careful out there! Last edited by TawakoniStriperGuide; 10/19/18 07:41 PM. "Slow ahead." I can go slow ahead. Come on down here and chum some of this [censored]. Nice to see this post few and far between for sure. Those are some fat fish Cliff, very nice fish. Nice post and fish. Also to the TFF! When one reads the forum and sees few posts, he may conclude there’s not much fishing going on for white bass, etc. when that’s not true. Lots of folks are out there fishing and catching but just not reporting. Others need to know there is enjoyment to be had! Those of us who love this sport and have enjoyed it for years will not be around 20 to 30 years from now. Do we want what we have enjoyed to be forgotten by our children’s, grandchildren’s and great grandchildren’s generations? We have knowledge on how to get outdoors and enjoy our sport that will be lost if we don’t share it – and not just with our own, but with their peers. We are kind of like stewards of our sport – we have enjoyed it as a blessing from God, and we need to pass it on to the world we leave behind. Letting folks know we are out there and catching fish by posting our results on TFF is encouraging and provides hope to others. When I was a working man and could only fish on weekends, I was always looking for intel on where the fish were biting and how they were being caught, so, when Saturday came, I could take my best shot at finding and catching fish. I listened to the early morning fishing report radio shows, read the outdoors section of The Houston Post and subscribed to The Lake Livingston Sportsman – a weekly periodical published by guide Curt Carpenter. Now, I’m retired and get to fish much more, but I remember what it was like needing information to help me have a good weekend fishing trip. That’s why I share almost all my fishing trips now on TFF. Just letting folks know we are catching fish here at Cedar Creek Lake is helpful. Helping them more by sharing locations as well as what baits and techniques we are using is even more helpful. If you don’t want to give away your exact locations, at least share the areas of the lakes where you are catching fish and a general description of the type and depth of structures that are holding fish. I view sharing like this as following the Golden Rule – that’s what I would want people to do for me. Nice read! Wow those are huge belly fish typical for winter December but in Oct. Wow! It's funny how everyone can post on Facebook and Instagram, but TFF causes problems? It's very simple. Give all anglers room to catch fish. 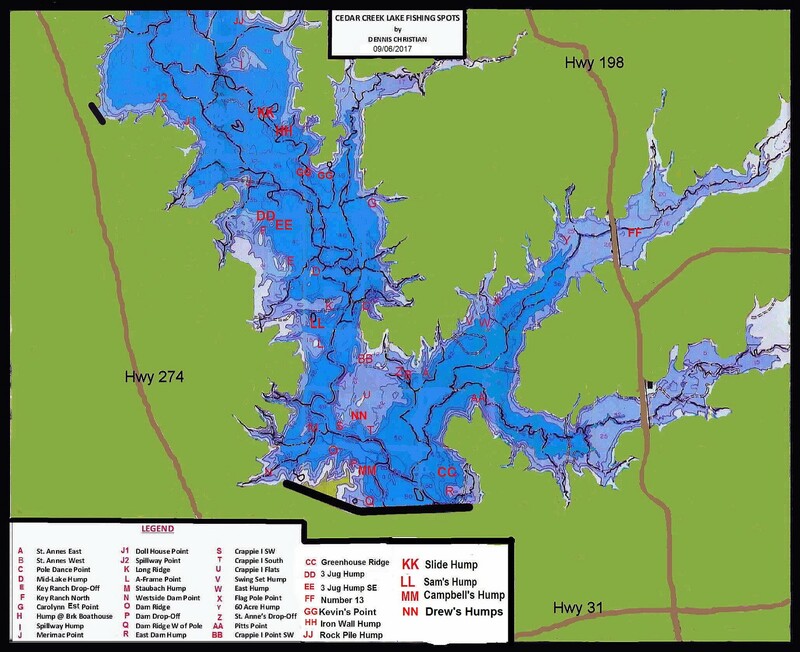 I'm very sure most that read this report know where Finger Point is on Lake Tawakoni? Most of the anglers on TFF have a $ 3500.00 GPS Map with side view imaging that tells everyone where Finger Point is located! Go enjoy Lake Tawakoni, it's a great Lake. If you want to hire a guide, I'd be glad to take you. Don't follow guides around a lake. If there are fish in shallow water on Finger Point, bet there are some at sun point and cloud? We will post again when the rain lets up! Thanks for your kind words! Skeeter is a demanding client for sure! OUT of Dallas Co. SOON !! How many Millers did Skeeter catch?